For over 10 years, Bioules Home & Garden has provided quality craftsmanship and full service professional general contracting for customers in the BC Lower Mainland. We pride ourselves on supplying our clients with a full array of skills and trades to ensure your home improvement, renovation, remodel or repair is done right. You can rest assured, knowing our dedicated team is here to help you through every single facet of the job at hand. Feel free to browse before and after photos of some of our projects to see our wide range of skills. Click here to find out more about Bioules Home & Garden and our staff, qualifications, and credentials. 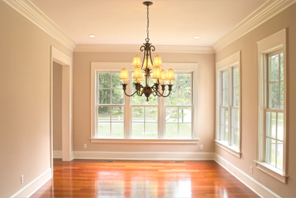 Learn more about the specific services we can offer to your home improvement project. We are confident we can provide your home renovation project with the quality and care that your project deserves. Contact Bioules Home & Garden to schedule a consultation for your home project today. Bioules Home & Garden will transform your yard into the outdoor retreat that you've always dreamed of. 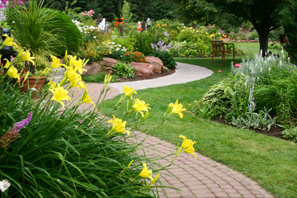 From beautiful gardens to picturesque patios, our team of qualified landscape designers and horticultural specialists will be at your service through every step of your project. Browse our galleries to see some of our hardscaping and softscaping projects, including patios, retaining walls, fences, stairs, pergolas, water features, gardens, excavations, turf, planting, and more! Learn more about the specific services we can offer to your outdoor or garden project. Bring your outdoor space to life! Contact Bioules Home & Garden to schedule a consultation for your outdoor project today. "We are extremely pleased with the work Christophe completed for us. We found him to be very helpful in the planning stage, and always responsive to any questions we had. We have received many compliments on the new yard, and are confident in recommending Christophe for work you may require." "We have used Bioules Home and Garden for two types of jobs. The first job was for landscaping maintenance and the second was interior painting. After receiving the estimates that were substantially less than others we had received, they got to work right away. They worked tirelessly until the job was done. Their knowledge of shrubbery and pruning was a great asset. They showed great attention to detail in both jobs and didn’t stop until they were done. Not only did they complete both jobs in a timely manner, but they left my yard and home looking beautiful! I have referred many people to Bioules Home and Garden and wouldn’t hesitate to do so again. Thanks for a job well done!"